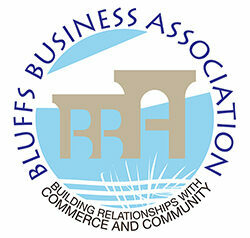 "Building Relationships with Commerce and Community"
The BBA's Website Has Moved! Click/Tap Here to be Redirected. Thank You. © 2014 Bluffs Business Association. Website and eServices: Design For Communication.